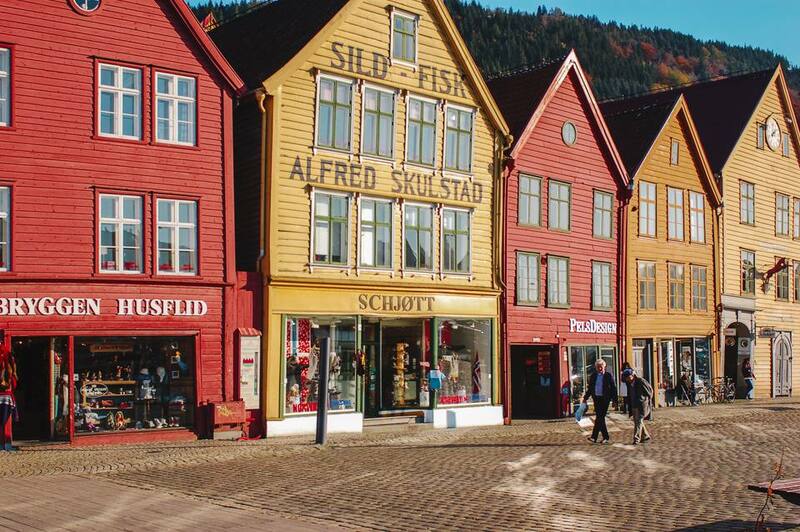 Bergen, a beautiful city on Norway’s southwestern coast, features impressive views and plenty to do -- but it can be pricey. If you're on a budget and plan to visit the city, free things to do include a picturesque fish market and an ancient wharf, cultural attractions and even an independence day celebration. Bergen's free fish market offers visitors local sights and sounds at no cost. Enjoy a stroll around the market while looking at crafts and flowers, fresh farm goods and seafood. The fish market is in a charming location in the heart of the city between Norway's fjords and Bergen's seven mountains. According to visitBergen.com, the city's official website, the Fish Market has been a meeting place for merchants and fishermen since the 1200s. A much-loved free sight in Bergen is Bryggen, the old wharf located in the city. "Bryggen" -- wharf in Norwegian -- consists of beautiful 14th-century Hanseatic buildings, is free to visit and provides a great photo opportunity. More than 60 buildings of the original wharf are still standing, now housing cafes and shops. The wharf is also a UNESCO World Heritage Site. The Bergen Card grants you free admission to attractions and sights in the city, along with free public transportation and parking. Bergen's city card also gives you access to cultural events, sightseeing trips and additional savings in local restaurants and shops. The card is not free, but it is an inexpensive investment that will give you free passage to plenty of great things to do. Constitution Day -- also known as National Day, or "Syttende Mai" in Norwegian -- is celebrated on May 17 throughout Norway, including in Bergen. During this free event, visitors and locals alike watch colorful processions of children with banners, flags and bands, just as you would see at independence day celebrations in many other countries. It's colorful, it's exciting -- and it's free.